The email marketing software provider dotmailer is celebrating its fifteenth birthday by re-launching the business and unveiling their new platform. The re-launch includes a new brand identity, website and move to a new UK office. One of the new platform features is called Automated Programme Builder. 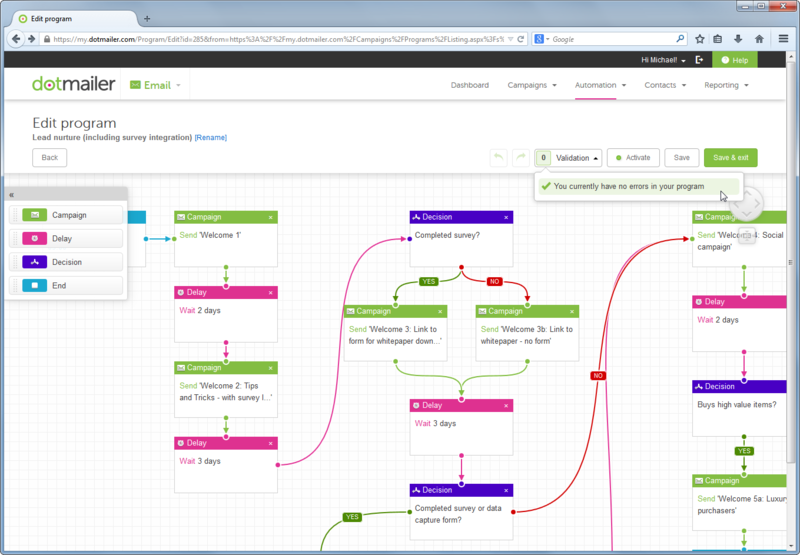 It is a new builder for automated marketing communications with a flowchart-styled, drag and drop interface. The dotmailer Automated Programme Builder lets email marketers create triggered and automated campaigns using business rules to target specific segments. Customer behaviours or date / time can trigger email marketing campaigns. According to dotmailer, this makes it easier for the email marketer to set up a complex automated campaigns. There is also a new Customer Insight Module which helps marketers to add any data they hold on their customers and then examine and segment them for targeting in an easy drag and drop environment based on any behavioural or demographic basis. 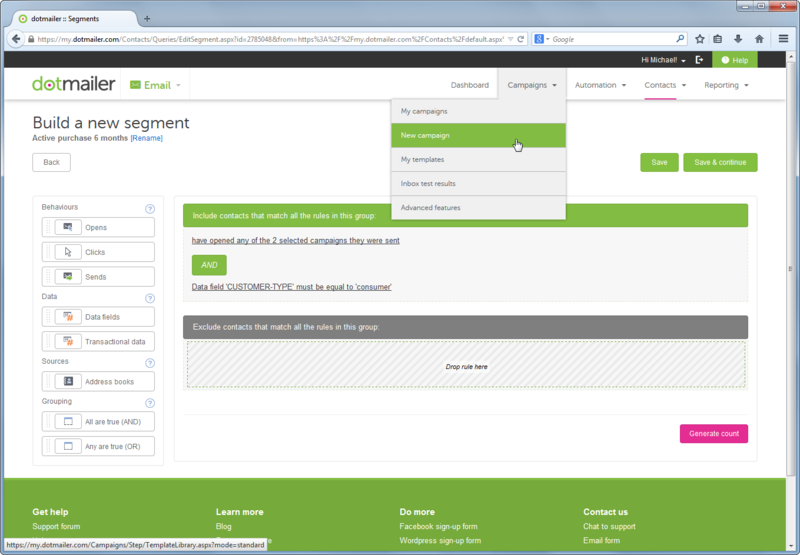 Here is an image of the segmentbuilder in the new interface. dotmailer was originally founded in 1999 and was first listed on the London Stock Exchange in 2009. The last five years dotmailer expand into the US market and grow in value by 650%. The rebranding, which the company has worked on over the last year also means a few changes in product names. Although the functionality will still be there, the Watchdog (automated list checking and data health validation) and Copy-cat (copy style elements from your site to create surveys, landingpages and forms) are being retired. dotdigital Engagement Cloud is an email service provider that allows companies to design, test and send powerful email campaigns and use transactional and behavioral data.